Many users don’t know but this feature is present on all Windows computer. This is a built-in tool that allows functioning as a VPN server via PPTP (point-to-point tunneling protocol). This ability is slightly hidden from ordinary users, however, you can create a personal VPN server and we will teach you how to do that! What Is VPN Server Needed For? 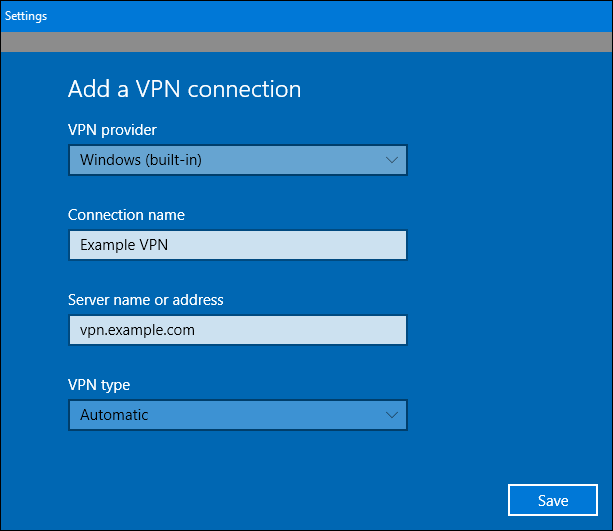 A personal VPN server on Windows can help you securing web browsing via public networks, connecting to your home network from anywhere, or playing online games. There may be even more reasons, I just named the most common. You can own a VPN server on Windows 7,8, and 10. NB: Some users with Updates Win 10 face problems while creating a VPN server, as the Remote Access and Routing service doesn’t start. This is going to be fixed by future updates, but why not to try to create a personal VPN server? There is a chance that you won’t come across this issue. You’ll need to forward ports from the router. 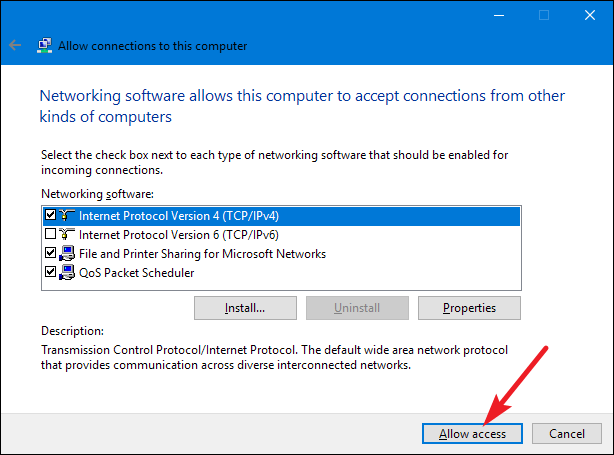 You need to expose Win and a port for the VPN server to the Internet, that is not perfect from the perspective of security. You can fix that by using a strong password and non-default port. 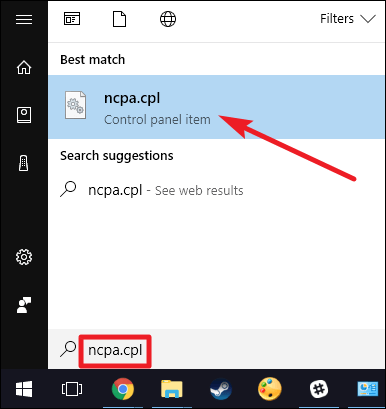 First of all, to create a personal VPN server on Windows, go to ‘Networks Connections’, or hit Start, then type ‘ncpa.cpl’ and press the Enter key. 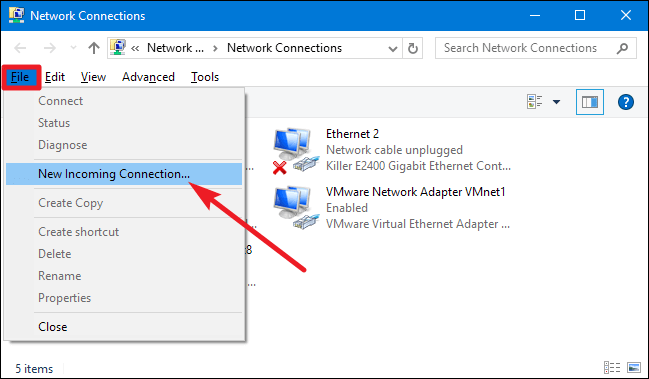 When you are in the Network Connections tab, press ‘Alt’ to show the menus, go to ‘File’ and select ‘New Incoming connection’. Next, select the necessary accounts of users who will have remote access. You may also create a new user with a limited access for keeping the connection secure. Click ‘Add someone’ and select accounts. Keep in mind that passwords should be strong in order not to be hacked by anyone. Once you have selected all the necessary accounts, click ‘Next’. A new page will appear, select ‘Through the Internet’ on it. This will allow having a VPN connection with the Internet. After that, you can choose the networking protocols for all the incoming connections. 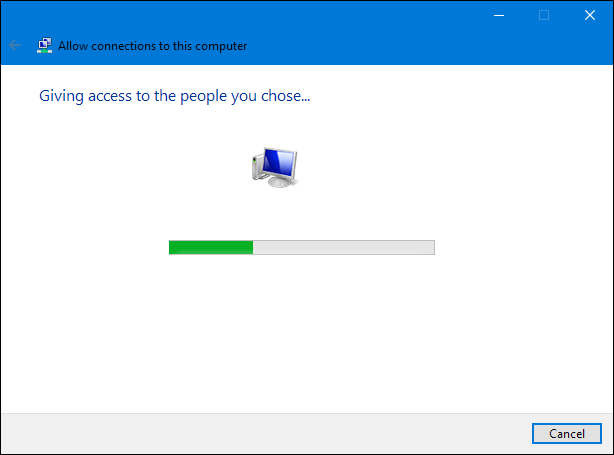 If you want selected users to have access to printers or shared files on your network, enable ‘File and Printer Sharing for Microsoft Networks’, or disable this option, if you don’t want those people to access your files. After you have checked all the options, click ‘Allow Access’. The system will configure the access for the chosen accounts, it may take several seconds. Your personal VPN server on Windows is up and running! You can now receive incoming connection requests. In case you want/need to disable your VPN server, visit ‘Network Connections’ once more and delete ‘Incoming Connections’. If you want to connect to a new server via the Internet, set up a forwarding port so that the router knows where to send traffic. Go to your router’s setup page. Forward port 1723 to your computer’s IP address (or an IP address of the computer which will be a VPN server). Consider using a firewall or router only for connections coming from exact IP addresses. You may also set up a dynamic DNS service on your router, but this is not an obligatory thing. To establish the connection, you will need your computer’s IP (a public IP address) or its dynamic DNS set up with a special DNS service. 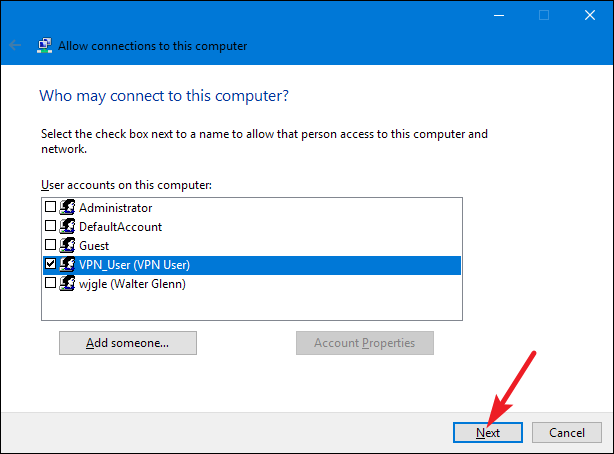 It is no matter what Windows version you use while creating a personal VPN server, you just hit ‘Start’, enter ‘vpn’ and select the necessary option from what appears. 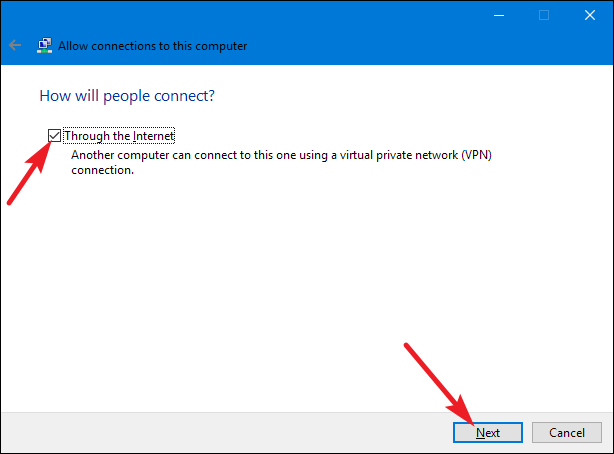 In Windows 7, it writes: ‘Set up a virtual private network connection’, in Windows 10: ‘Change Virtual Private Networks’. You now know how to own a VPN server Windows. What seemed difficult at the start, appeared to be easier now, right? So, I hope that if you have a wish to create a personal VPN server Windows, this manual will help you.